Communication is the most important aspect in every day life . Even animals communicate through signals and gestures and achieve what they require. So is the case with a new born baby. Hunger, thirst and such other things are signaled to the mother through cries and other gestures. communication is being carried on in one shape or he other. Form the time of birth to death there is communi-cation.Communication is a process in which a person conveys his feelings and opinions to others in whatever way possible . It is a means to influence people. To achieve what is wanted and make people assist you when necessary. 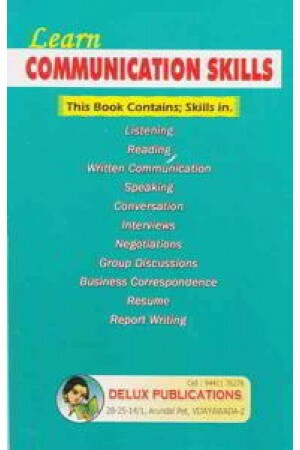 Communication is important to every person such as teachers, actors writers, sales men and business men. communication coverts the language we use, our body language, sings and symbols we use, to convince people. skill in communication is an asset, when communication is use effectively, there is nothing in the world that cannot be achieved. we can understand people and their feelings. The nature and quality of an individual is revealed in communication. communication consists of listening, reading, speaking, writing and conversation, Gestures like smile, touch, wink, shrug and a nod of the head also come under communication. it is necessary for every individual to become a master in Communication.